Targeting about 8,000-9,000 units per month domestic sales of its new Santro car model, Hyundai Motor India Ltd also plans to ship out about 20,000-30,000 units per year, said a top company official. He said the total sales target for the Santro model is about 120,000 units for 2019. Unveiling the new Santro at the company's plant near here Y.K. 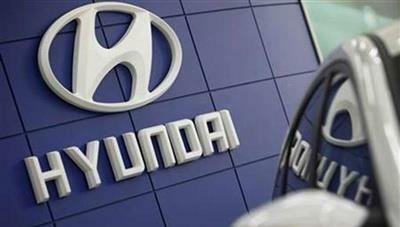 Koo, Managing Director and CEO told reporters the new car was expected to drive Hyundai Motor India's market share by 0.5-1 per cent. In 2017, the company reported an overall market share of 16 per cent. 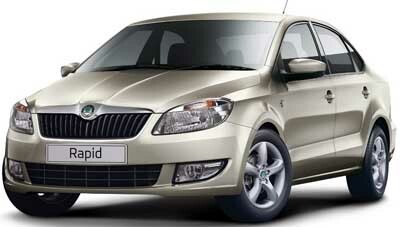 The company will begin booking for the new model online from Wednesday onwards till October 22, he said. The model comes with three years/100,000 kms warranty and three years road side assistance. The booking amount is Rs 11,100 for the first 50,000 customers, he added. According to Koo, the Santro will have two variants - petrol and CNG (compressed natural gas). "With Santro we can compete in the tall boy and compact car segments. 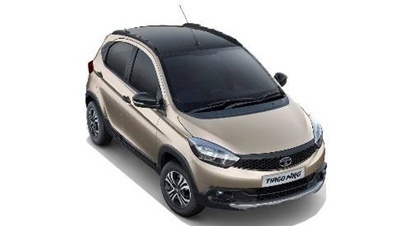 However, in the Santro segment (mid compact) the company hopes to garner 30 per cent market share," Koo added. In order to play in the two segments, the company has reduced the height of the new Santro to 1,560 mm and extended its length to 3,610 mm. The old Santro stood 1,590 mm tall and had a length of 3,565 mm. He agreed the company decided to leverage the popular Santro brand for the new model instead of building a new brand at a higher cost. The company had stopped production of the older Santro model in 2015. "Santro has been the one big success brand name for Hyundai in India. As the model ages, and literally becomes obsolete in terms of contemporary need, want, desire and aspiration, Hyundai needs to offer the latest and the best for Indian roads," Harish Bijoor, Brand Expert and Founder Harish Bijoor Consults Inc told IANS. He said: "Therefore, as an all new offering is put together, the challenge is to either discard the old model and the old brand name altogether or to retain the old brand name and slap it on the new offering." Bijoor said Hyundai's strategy of prefixing 'All New' to Santro is a wise move. "The brand equity built for Santro and the vestiges of quality residues remain intact. They become heritage properties that will help the new model run with greater ease," Bijoor added. According to Bijoor, if the model was named anything else, it would take time, energy and very big money to build equity. Hyundai has done a nifty thing by naming the new model Santro. On the export front, Koo said India will be the hub for Hyundai's small cars and Santro will be shipped out from January 2019 onwards. "Santro will be exported to North America, Middle East, South Africa and other markets," Koo said. He said, the model will also be made in Vietnam where Hyundai Motor has a joint venture for the domestic market there. According to Koo, the company hopes to sell about 550,000 units in the domestic market and export about 160,000 units in 2018.